We had two Christmas picture books when I was a kid  The Night Before Christmas and The Littlest Angel. Whenever my mother broke them out for the holiday season, I felt like old friends had come to visit. I spent hours in their company, catching up on all the details I'd missed while they were gone: favorite illustrations, familiar passages. Anyway. The point is that I have always loved holiday picture books and I have a tradition of acquiring a new one every year even though the kids are grown up and mostly gone. In fact, these days I use the new picture book as an autograph album  before the holiday ends and we all go our separate ways, everyone writes something on one of the fly leaves, just like we did on seventh-grade yearbook day. Only we don't tell each other "to get tan this summer and pick up chicks." Anyway. It's fun for the whole family, and your family might enjoy doing this, too. Hey, look at me! Handing out "holiday tips" like I'm Martha Amazing Stewart! Over the years, a few clear personal favorites have emerged: The Story of Holly and Ivy by Rumer Godden, A Letter to Santa Claus by Rose Impey and Sue Porter, Wombat Divine by Mem Fox, The Little Fir Tree by Margaret Wise Brown and Humphrey's First Christmas by Carol Heyer. Sadly, a few of these are no longer in print, which only makes me value my books more. 1. Home for Christmas by Jan Brett. Actually, I'm not that crazy about the story  a naughty troll packs his bags and bids his long-suffering family adieu, only to discover that when Christmas rolls around there's no place like home for the holidays. Still, it's hard to resist Brett's trademark borders that tell a story within a story. And few illustrators depict snowy landscapes with as much affection as she does. 2. The Third Gift by Newbery medalist Linda Sue Park is simply gorgeous to behold. And the story about a boy who's responsible for one of the Wise Men's fabled gifts does a good job of explaining what myrrh is. Seriously. Who knew? 3. Something for Christmas by Palmer Brown is a re-issue of an older story about a little mouse that wants to give his mother the perfect present. I love the tiny Beatrix Potter size of this book  just right for small hands. Also, I have a question. Why is it that mice are so cute in books and so NOT cute in real life? 4. With its simple text and understated artwork, One Starry Night by Lauren Thompson is a quiet book, which is appropriate given the subject matter: animal mothers watching closely over their sleeping young. 5. The Money We'll Save by Brock Cole is the rollicking story of a turn-of-a-century family that raises a turkey in their tenement apartment for Christmas dinner. I read this one aloud to the residents of a nearby nursing home, and they adored it. So do I.
OK. There you have it  a few new books for the season. And now comes the hard point. Choosing. 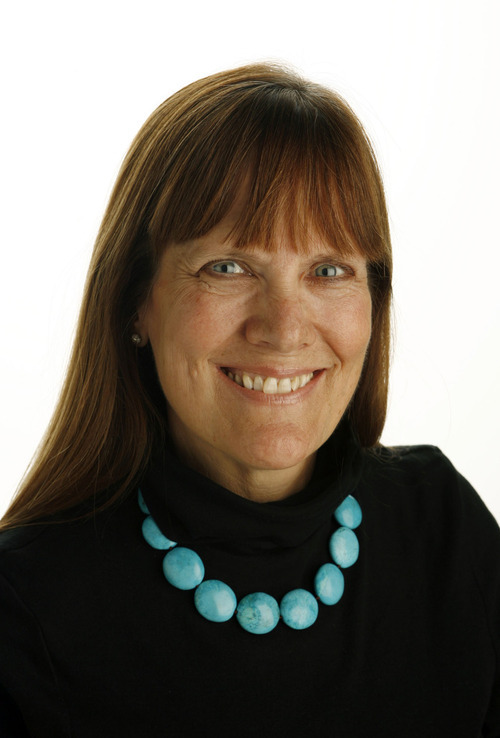 Ann Cannon can be reached at acannon@sltrib.com or facebook.com/columnistcannon.